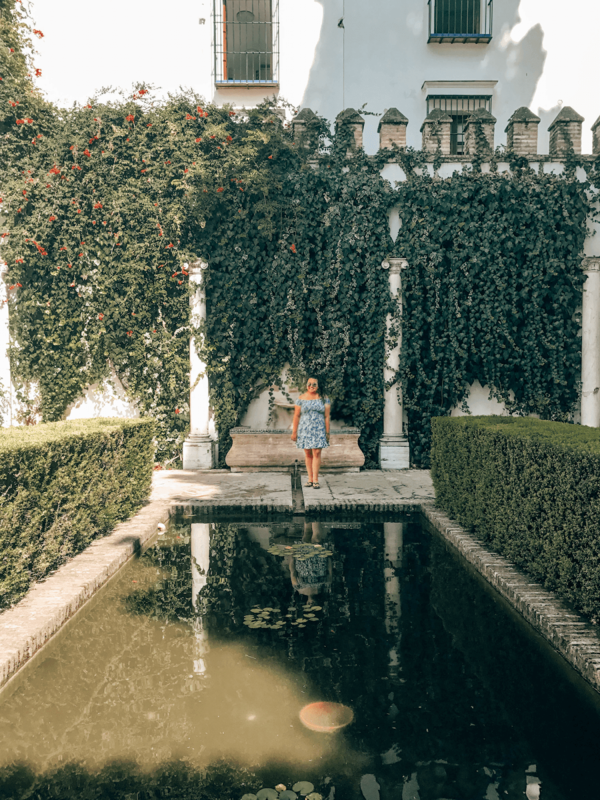 If Seville isn't on your radar when visiting Spain, I don't know what's wrong with you! This is a must see destination that you will fall in love with and never want to leave. 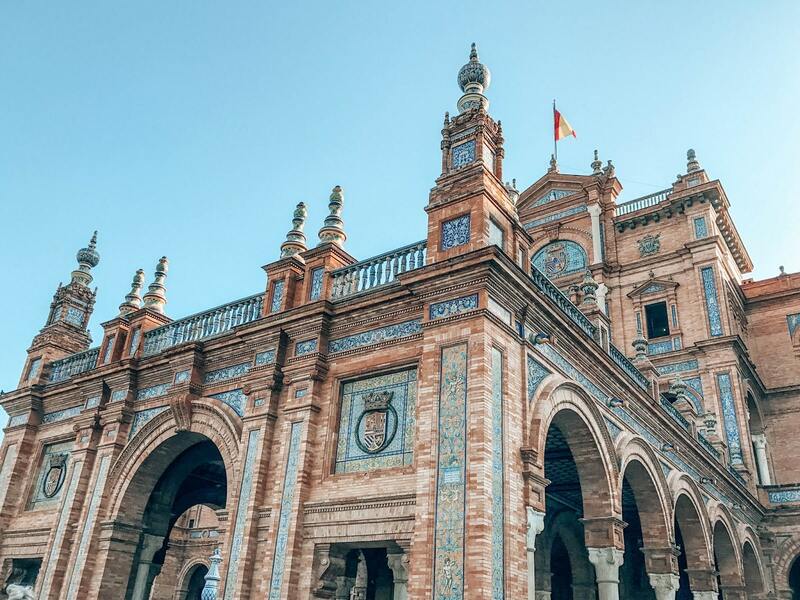 Seville is Spain’s fourth largest city but still has a small-town vibe. 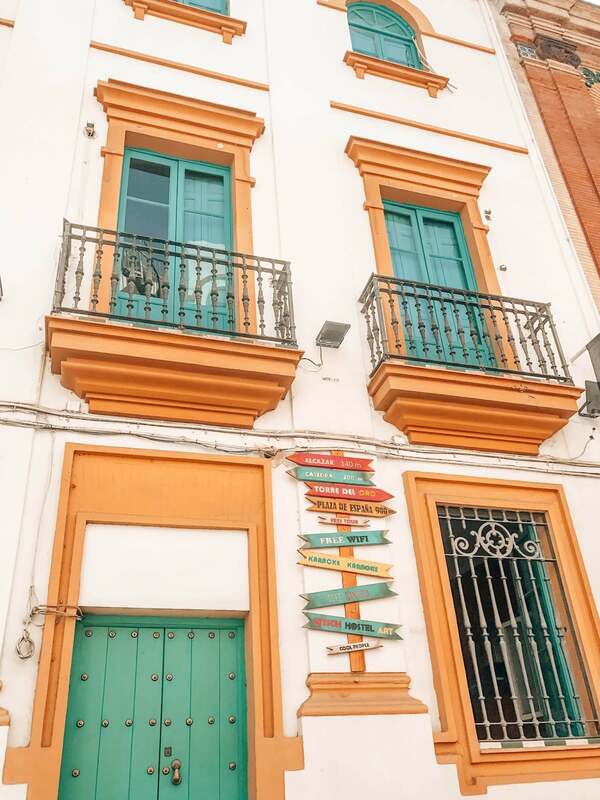 It's also the Andalucian capital of Spain, with it's rich history, vibrant colored buildings, and breathtaking landmarks. It's crazy how it's only two hours away from Portugal. In the summer, it gets very warm so be advised when planning a trip here. Bring comfortable clothes and shoes, you also want to stay hydrated while exploring this city. 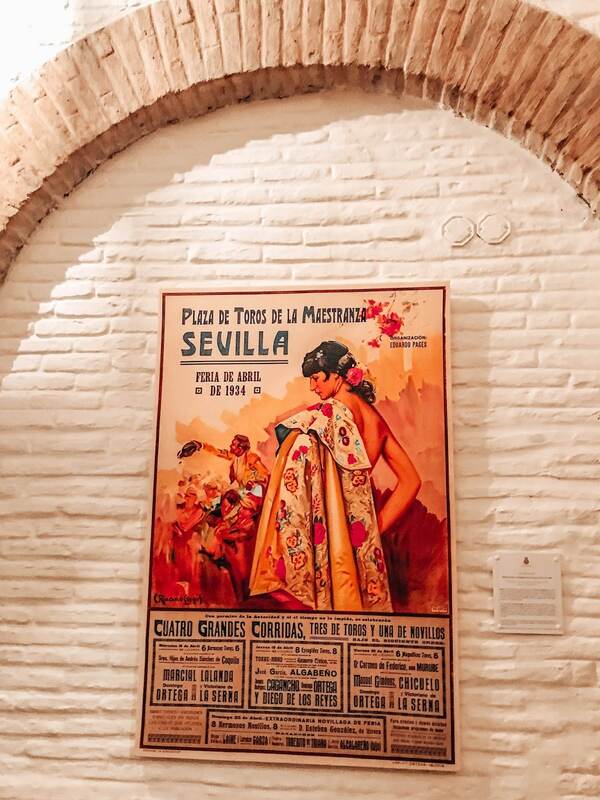 This is also known as the city with the best flamenco specifically in the Triana district of Seville! 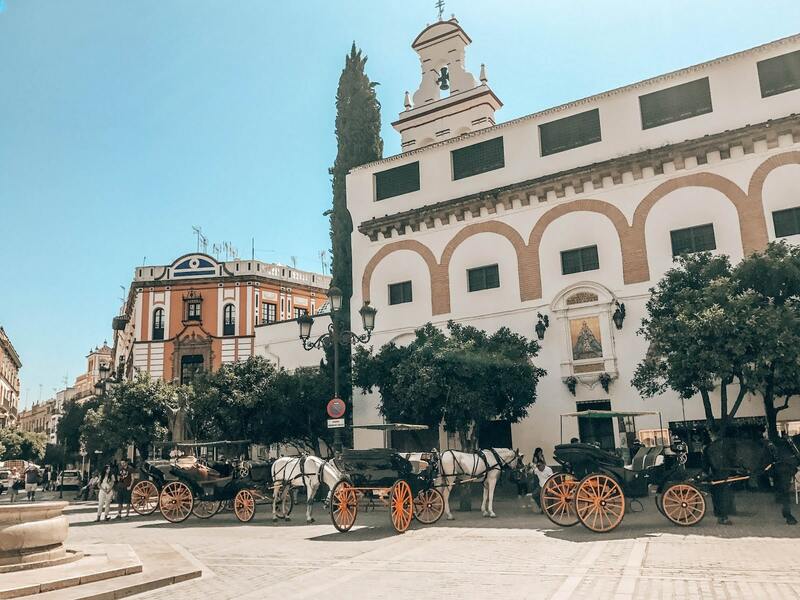 After leaving Gibraltar we headed to the gorgeous city of Seville. If you want to know more on what we did in Gibraltar (click here) to read more. There's something about the cities in the southern part of Spain that really speak to me on another level. 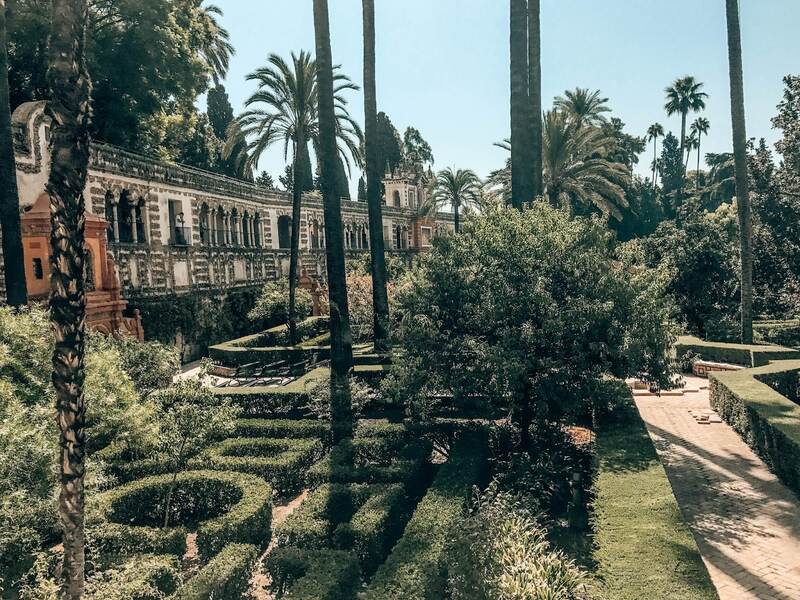 I just fell in love with Seville, if I could've stayed longer trust me I would've. This was a city that I know I will revisit in the future because 24 hours wasn't enough for me. We got into Seville in the evening and that's when we headed to our dinner optional. The following day, we had an awesome local guide showing us around the city on a walking tour. Then we had a bit of free time before we had to depart the city. 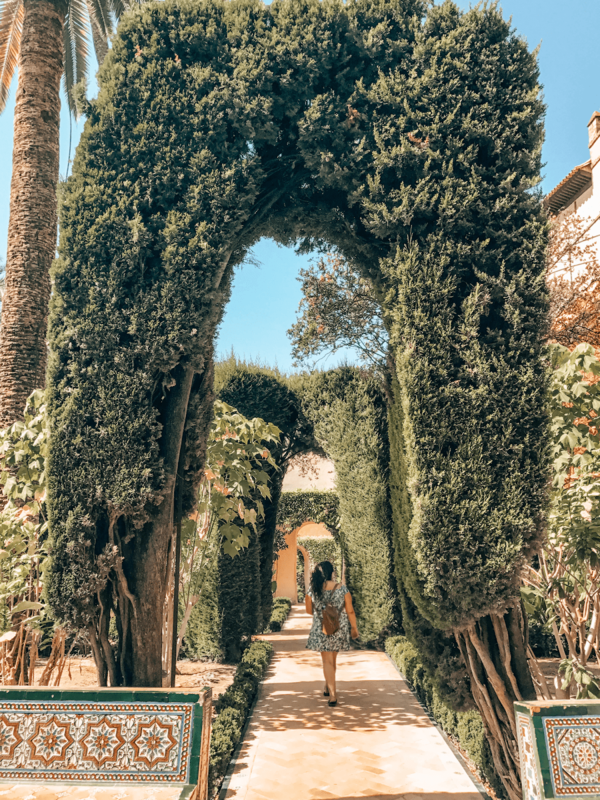 From the beautiful streets, landmarks, and restaurants, there's so much to do here that I highly recommend staying a few days if you can squeeze this into your trip itinerary. 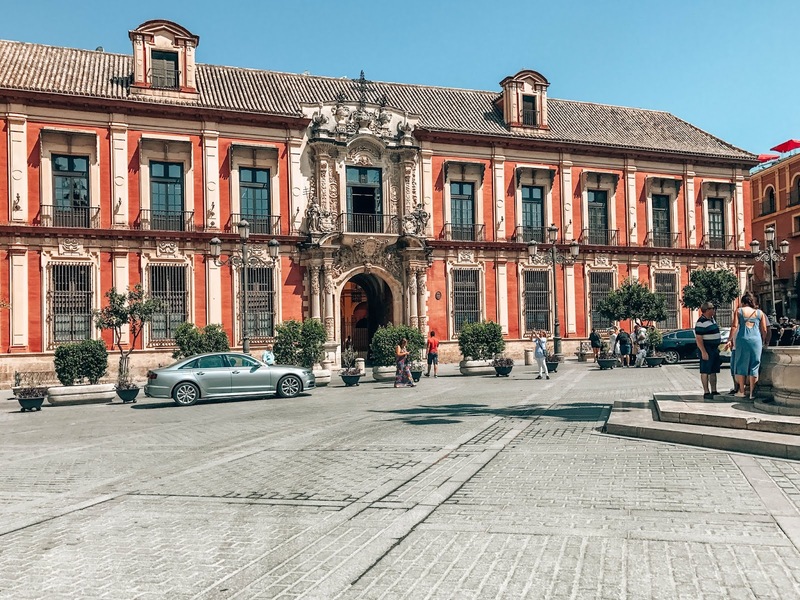 This plaza is one of Seville's main attractions. This place is full of life in the afternoons where you see many people singing, playing guitars, tourists and locals walking around and admiring the beautiful square. 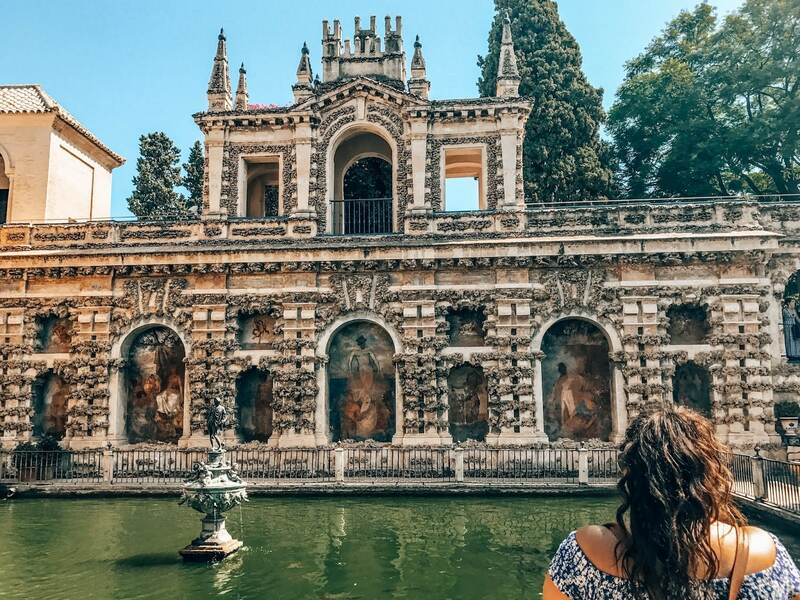 From the mini canals, intricate detailed tile work on the bridges, and the alcoves, it's a sight not to be missed when visiting Seville. Although we had a short time here, I wish I could've stayed longer and just take everything in. I would definitely come back here in the future for sure. This place is free of charge to enter so you if you want to avoid the crows, I would recommend going early in the morning. 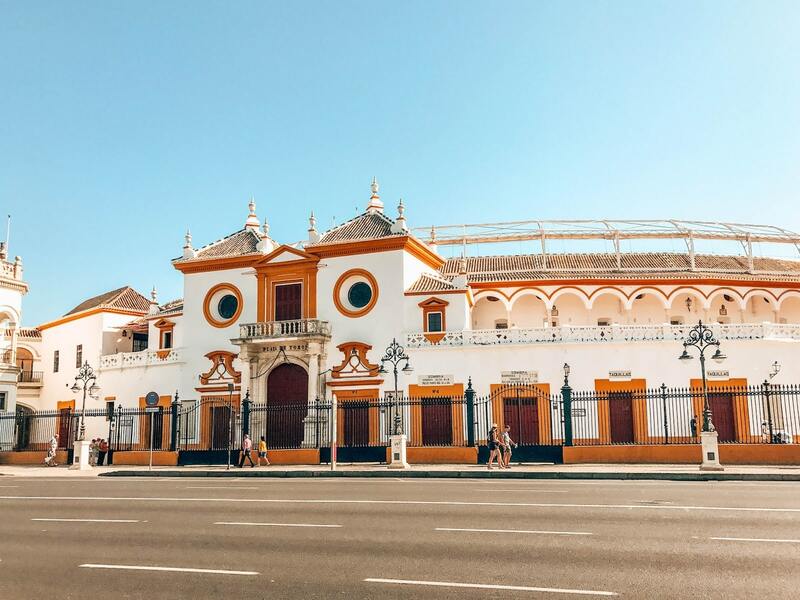 Plaza de Toros de la Real Maestranza de Caballeria de Sevilla is one of the oldest most important bullrings around the world. 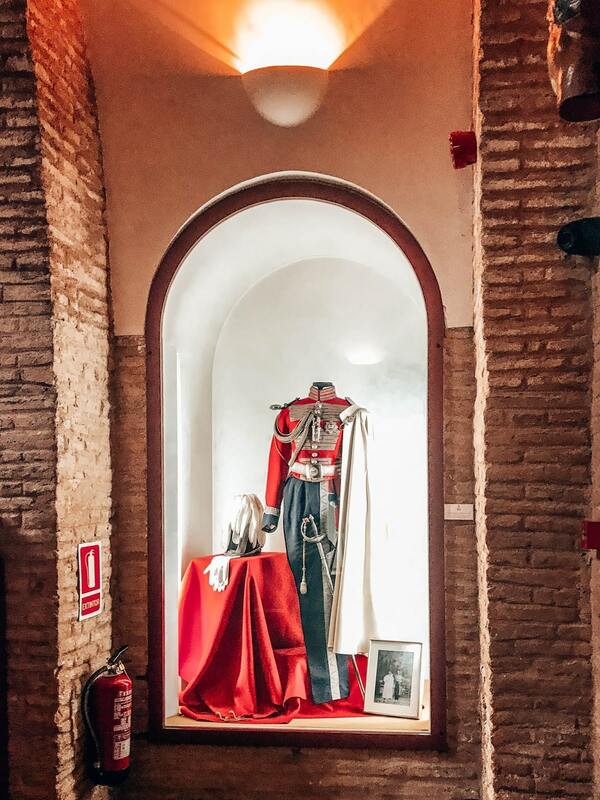 We had a guided tour inside the bullring and also the museum. 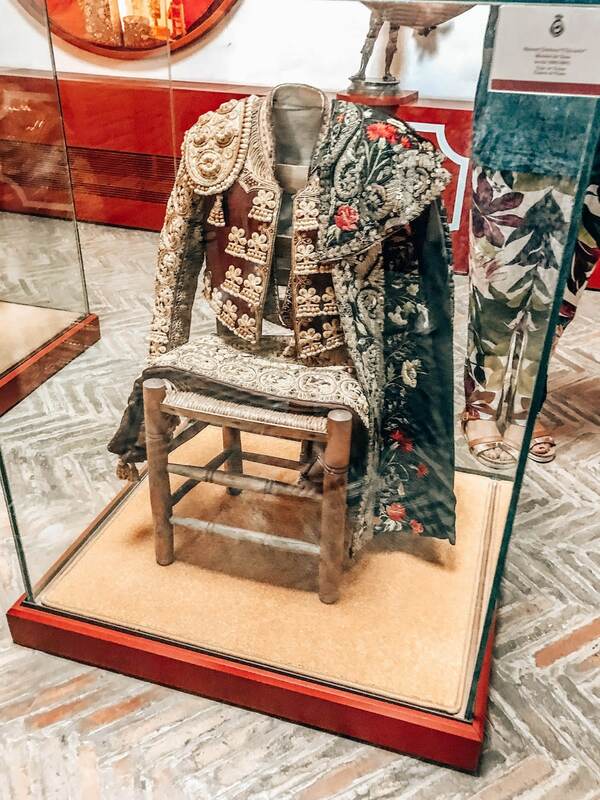 When we were in Pamplona (click here to read more), we learned a little about the infamous San Fermin Festival aka running with the bulls. 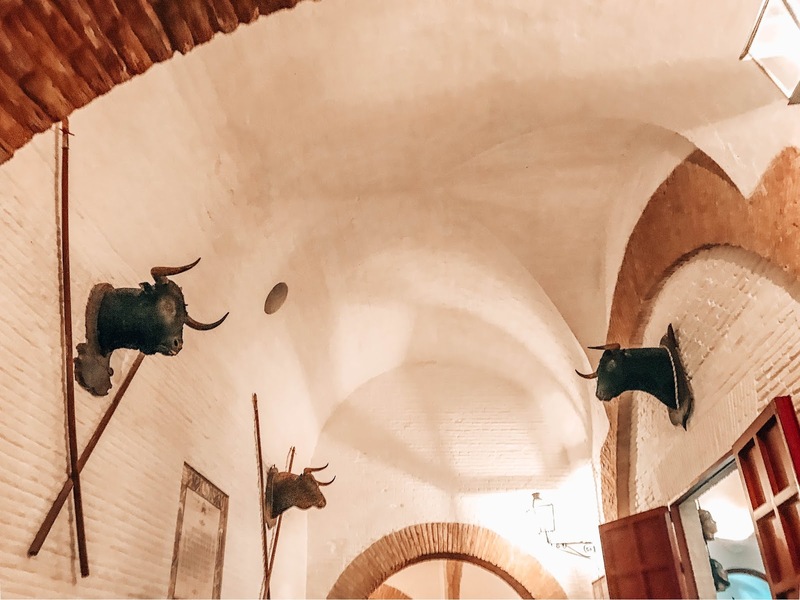 But here we got a more in depth look at the culture and history of bull fighting here in Seville. While this is a popular activity in Spain, it's also very controversial within it's people and of course all around the world. While some people are for it others are not but our guide mentioned it's becoming less and less popular in this specific city. Whatever your stance is on this, I thought the guided tour was very educational. 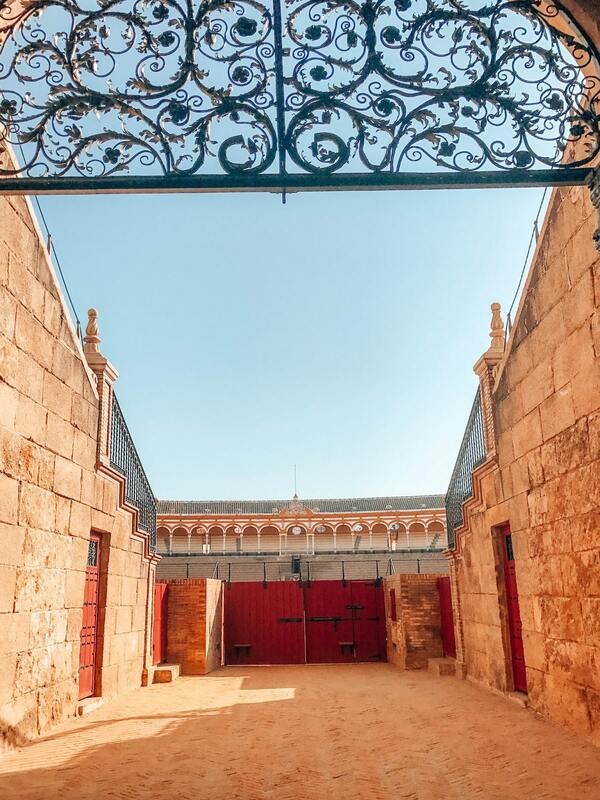 If you're a Game of Thrones fan, you will definitely want to come here. 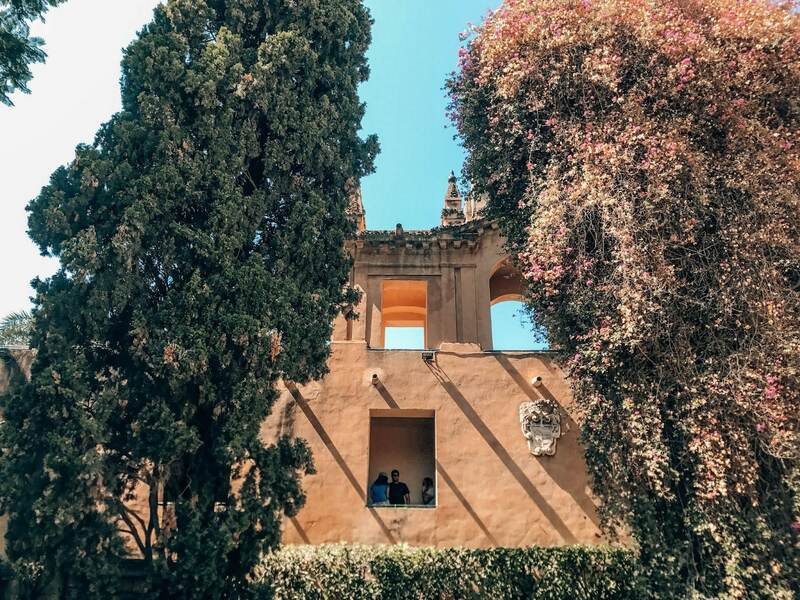 I personally haven't watched Game of Thrones but majority of the people on my tour did and this was high on their list to go visit while in Seville. 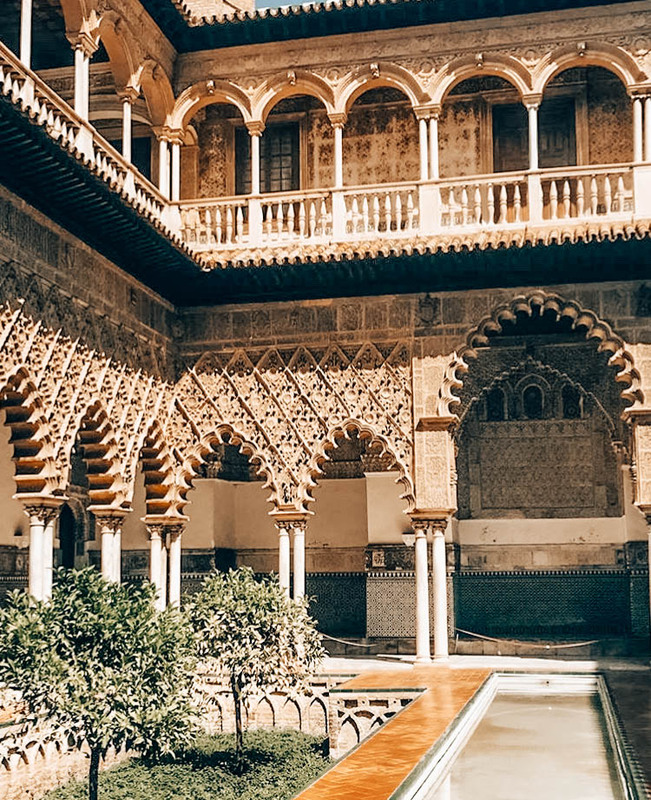 This place is gorgeous and recommend checking it out even if you haven't seen the show, it reminded me of the Alhambra in Granada but on a smaller scale. The combination of Moorish, Gothic, Renaissance and Baroque elements are evident all throughout the property. You can spend hours here walking and around or relaxing by the gardens taking in it's beauty. We were on a time crunch and tried to see as much as possible. I would recommend getting your tickets in advance just because the line can be long to enter. 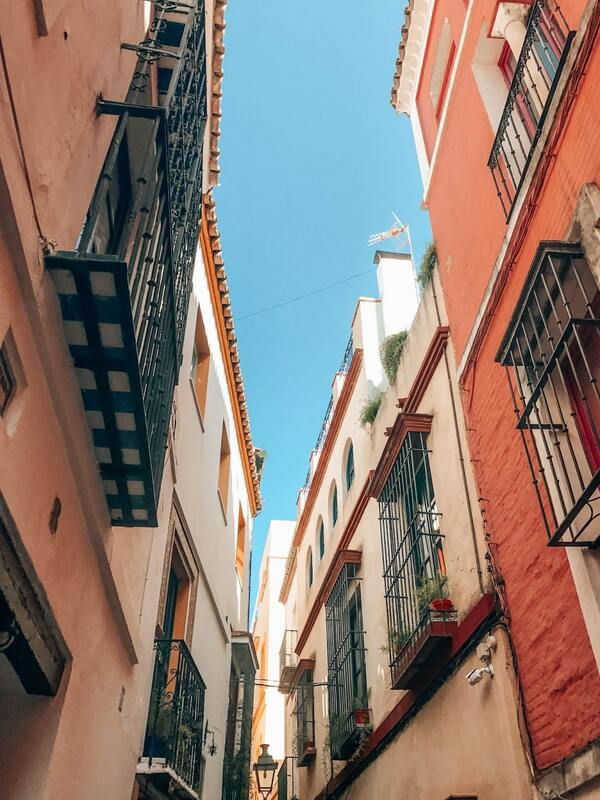 I found the prettiest streets while walking around Seville. There's no better way than exploring a new city than walking. 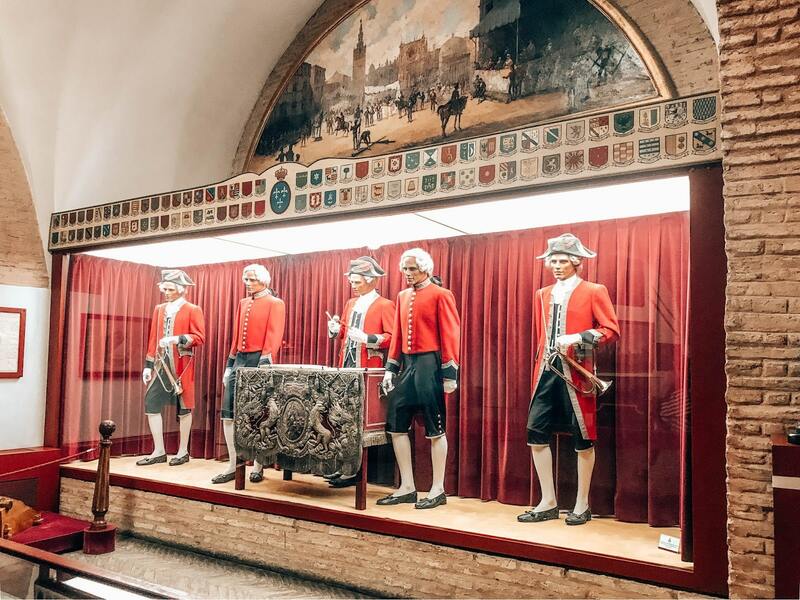 Whether you walk by yourself or do a walking tour with a local guide, you'll find amazing places you wouldn't find otherwise. I mean the pictures don't lie! Contiki has implemented a new excellent optional for their Spanish Spree tour that I highly recommend doing. 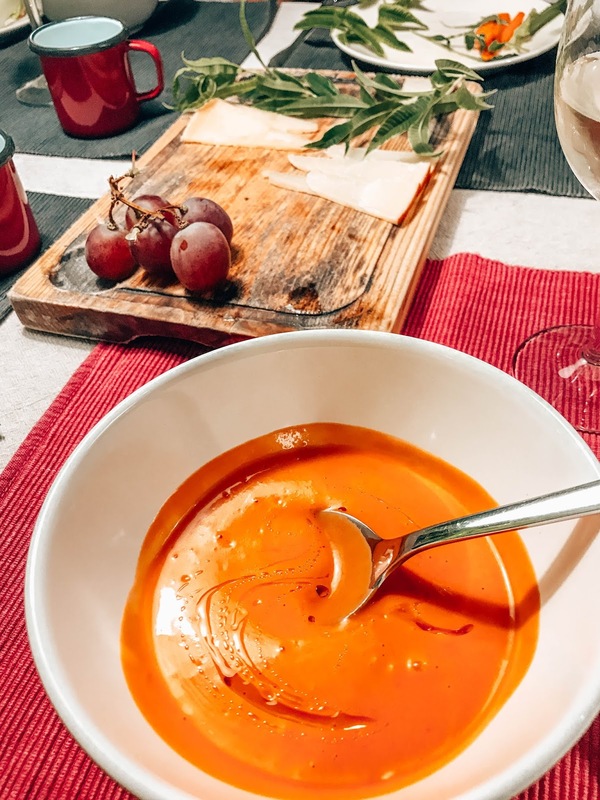 The concept is having dinner at local's place in a unique setting. I think we were the first group to try this out if I'm not mistaken and think it was one of the best optionals I have ever done! So since our group was pretty big we couldn't all fit into one place. 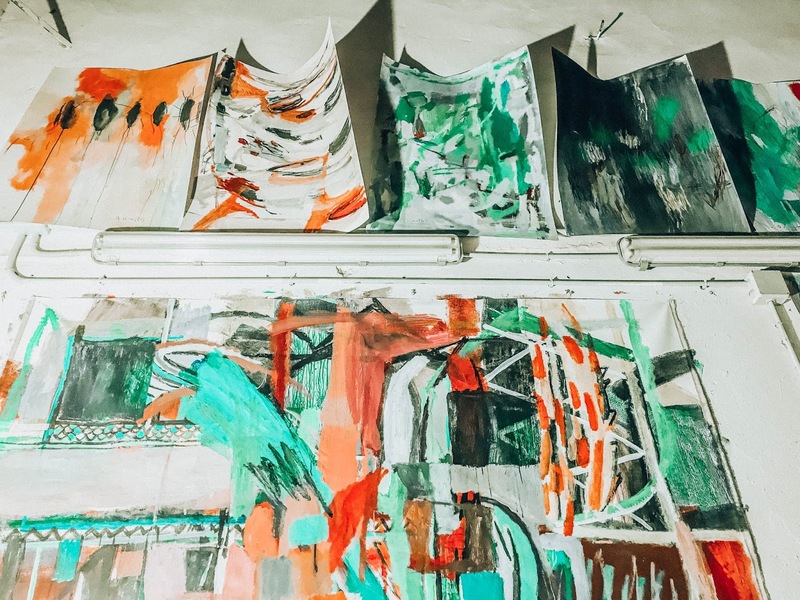 So we had the option to have dinner at rooftop or in an art gallery. I chose to have dinner in an art gallery and it was such an amazing experience. We were greeted by a local craftsman where he gave us a tour of his shop and art gallery. There were long tables for our group and we had lots of great wine. 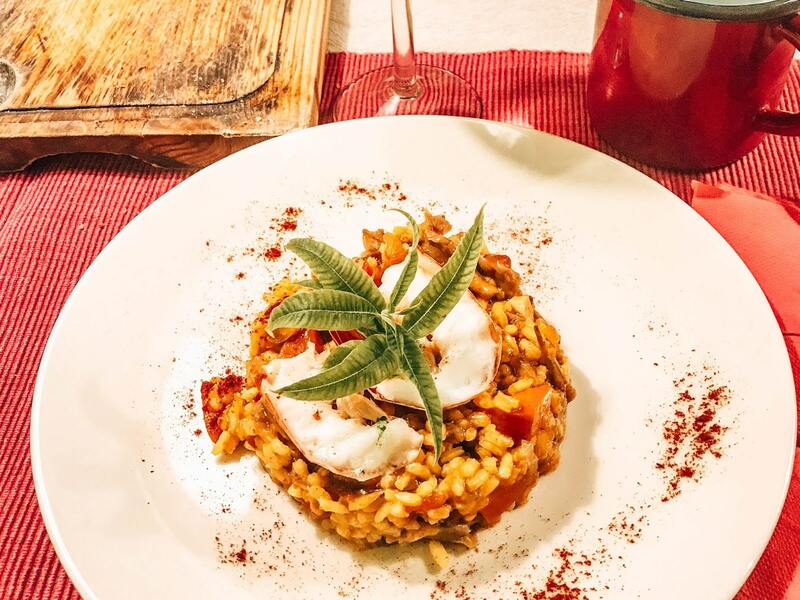 delicious charcuterie, a tasty gazpacho, authentic paella, and dessert. 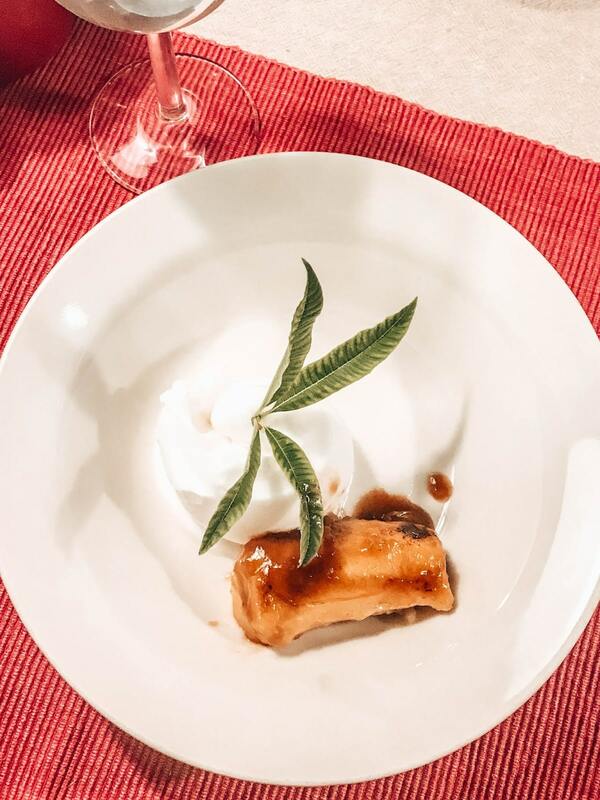 What was very unique about this was getting to know the local craftsman and his story while also getting to go in the kitchen and seeing our meals being prepared with fresh ingredients. 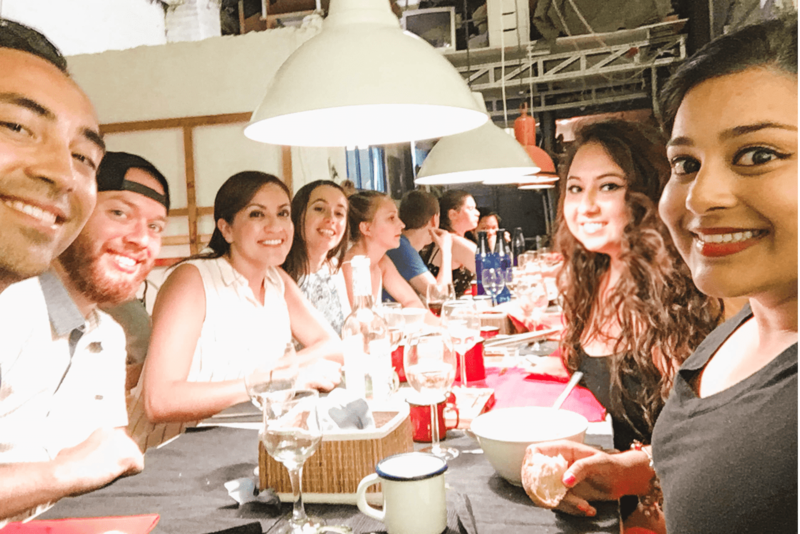 It was just a cool experience and also very intimate where you can talk and get to know your tour-mates a little bit more and while having a great meal! The people who went to the rooftop dinner also enjoyed their experience so it's up to you where you want go if you choose this optional. 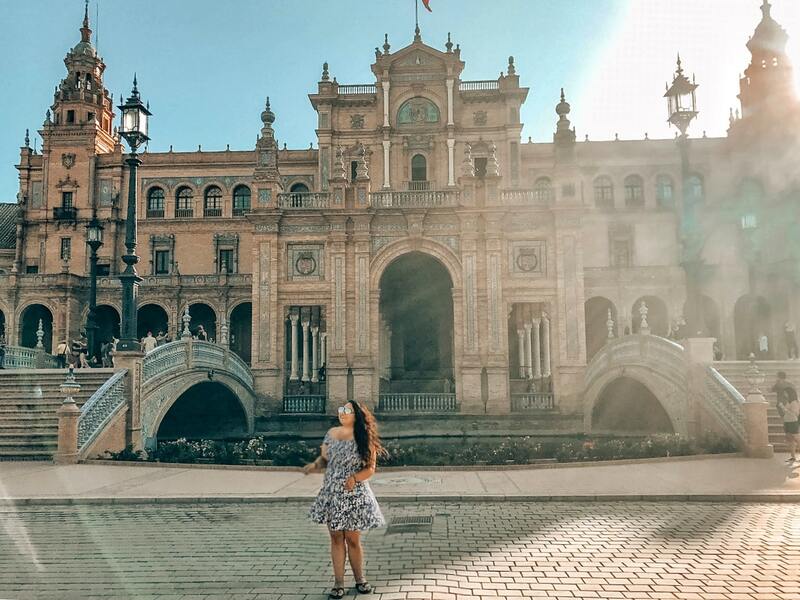 Hopefully you get to visit Seville someday! Gorgeous Photos! Adding it to my bucket list! Hope you have an amazing time in Seville! 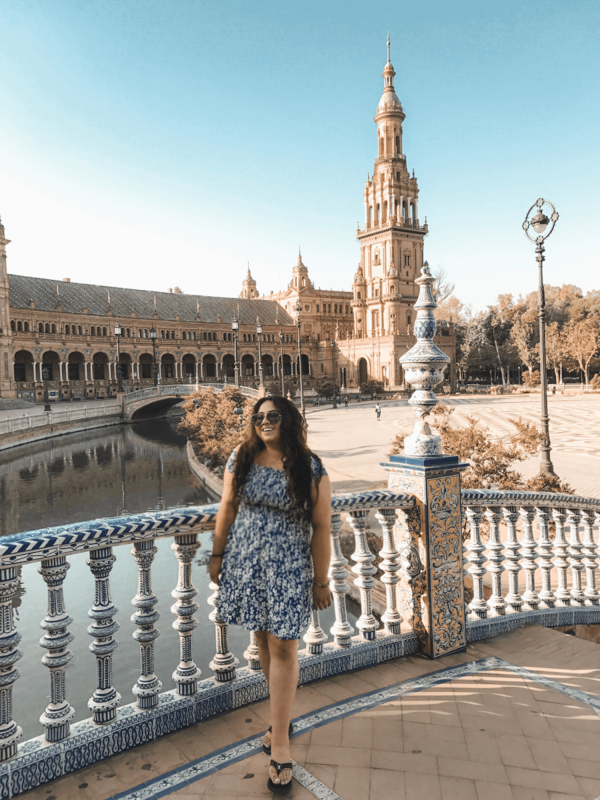 I've never been to Seville before but I have been to Madrid! 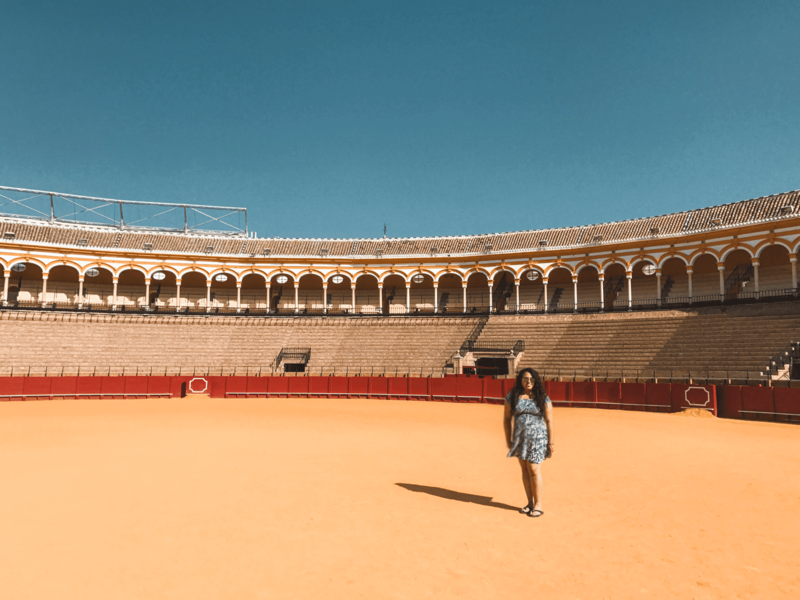 I absolutely loved seeing the bull fights there and cannot wait to see one when I visit Seville! 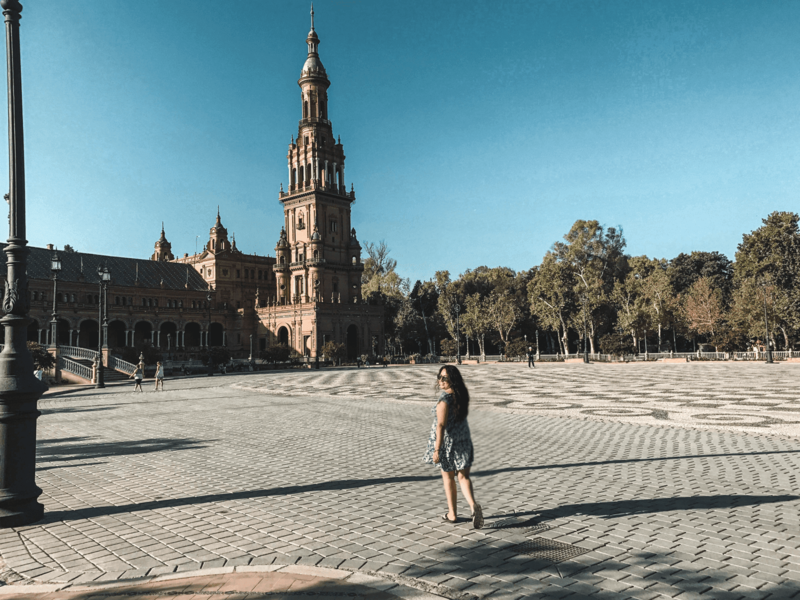 Madrid is one of my favorite cities in Spain! 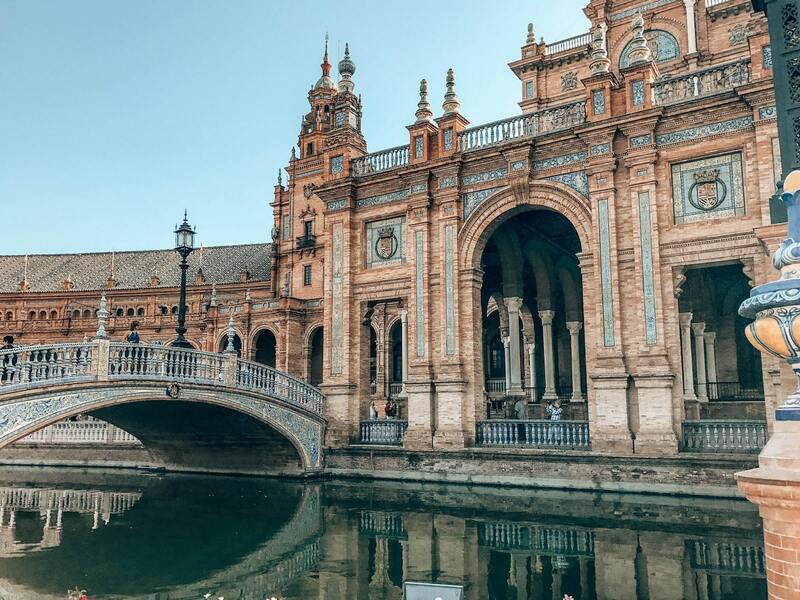 Seville is such a beautiful city. I'm so glad I got to visit it while I was studying abroad in Spain many years ago. However, I will say, your photos make me want to go back and look at the city through a photographer's eye... your pictures are gorgeous! 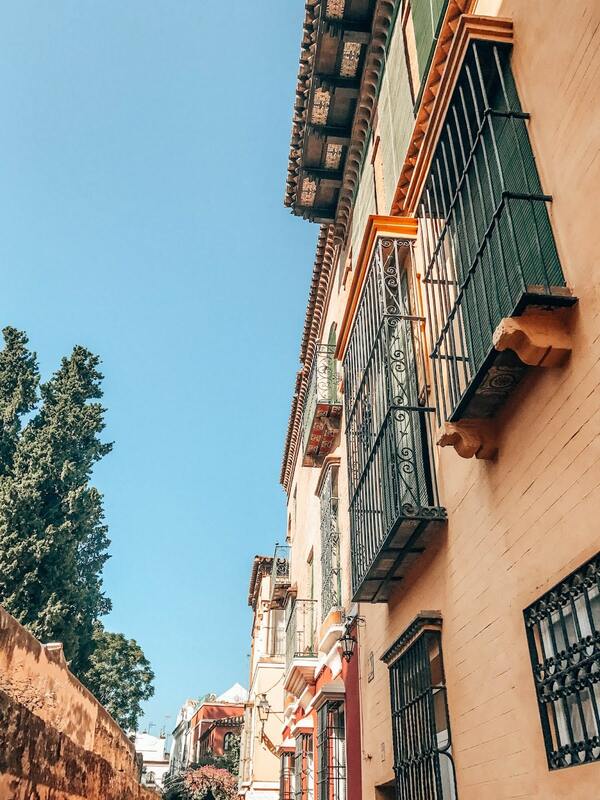 All of these photos are so beautiful - I would love to be able to go to Spain one day! 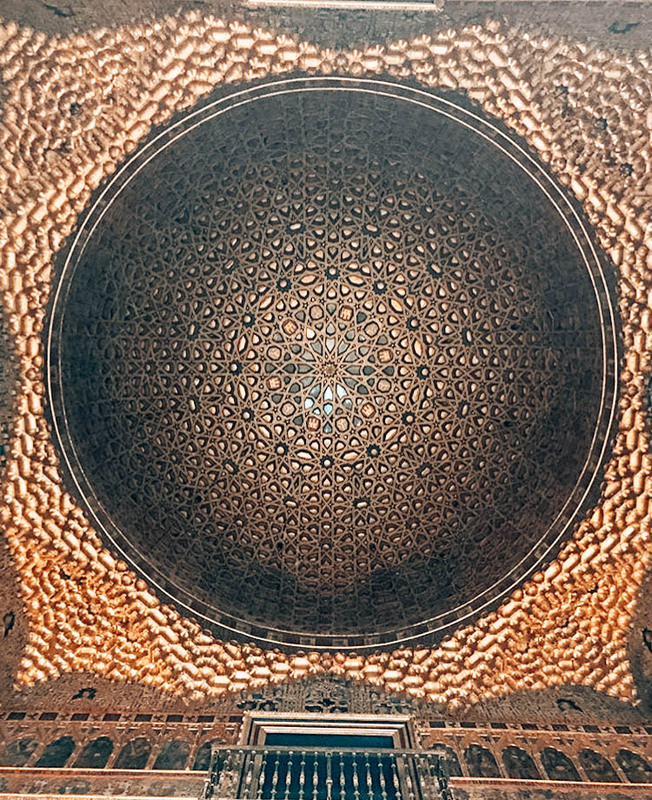 Sevilla looks pretty cool. Regret a bit not getting there, when I was in Spain. But why is it so empty??? :) I thought there are more people in Spain. 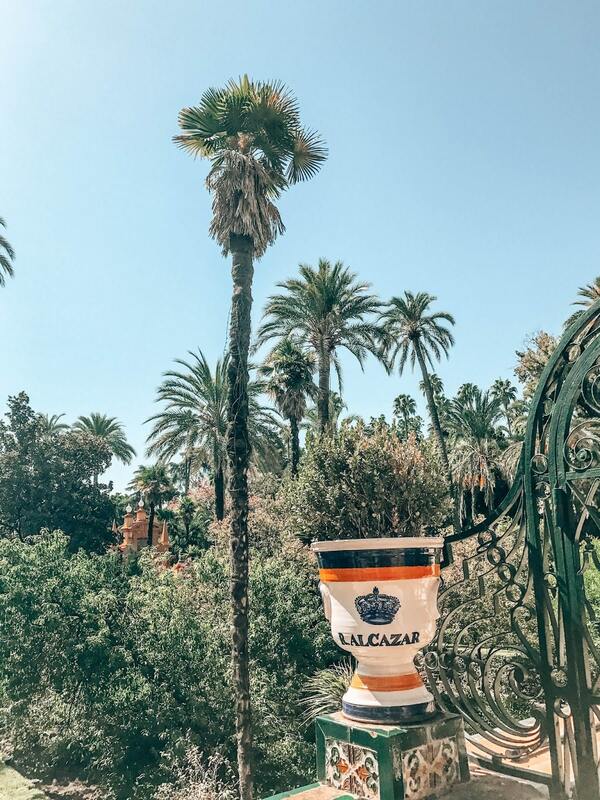 I loved all your photos from your Sevilla trip. Mind-blowing! I especially loved the Gladiator ring photo. My goodness the architecture is just beautiful here!!!!! Makes it look like a real life fairytale and can't believe you managed to see all of this in such a short time. Definitely adding this to my bucket list although fingers crossed I get to spend more time here to take everything in! It's such a gorgeous place, I would recommend staying longer to see everything and finding more hidden gems!